Sometimes you come across someone for whom you have great admiration. In my case it is writer, Julie Day, this week's guest in the spotlight. The reason for my admiration is Julie's fabulous motivation and work ethic. When she's not writing a children's book, she's trying her hand at womag stories or pocket novels. And when she's not doing any of these she's helping other people with their writing or helping them publish their books. She puts me to shame! This is not all though. Julie is a writer with Asperger Syndrome and I invited her onto my blog to answer some questions about how this has affected her writing career. First of all, a very big welcome to my blog, Julie. My first question is what made you decide to start writing? A recurring dream. I had a dream two nights in a row which stuck in my mind. The only way to get it out was to write it down. Once I started writing, the ideas came to me. I've been writing on and off since. I know you enjoy writing in a variety of genres. Do you have a favourite? Writing for children. I can have fun, let my imagination go and not be too serious about what I write. As a writer with Asperger’s, what has been your biggest challenge when writing fiction? Going to talks and meeting new people. I get anxious when I meet new people and have to introduce myself to a group. Going to literary events can be quite daunting at the best of times. I met you at the RNA conference in 2015. How did you find the experience? Interesting, but full-on and tiring. I now find that I can't do weekend conferences where I am going from one talk to another and meeting people. Also, I've never been able to sleep in a strange bed properly, so am tired throughout the whole time. Can you tell me a little more about the series of books you’re writing? This series is not just for children with Asperger’s Syndrome, it is also for their friends and family. The series covers friendship, school and the difficulties a child with Asperger’s faces, with a positive approach which helps readers to understand the disorder. It will also cover how going out into the world and facing those challenges affects children with Asperger's. You are very active on social media. How beneficial has this been to you and your writing? Very beneficial. I have made connections with other women who have Asperger's, as well as connecting with other indie authors. I have joined author groups on Facebook who have helped me promote my books. You also help new authors to publish their work as e-books. Can you tell us a little about it? It started with doing talks at a library about being an indie author. One man joined the attendees and later asked me to help him with his fiction. I found I enjoyed helping him, that when someone else at the library said they wanted help, I said I would. I helped the man publish his first children's book in July. I have also been in contact with a couple of other children's authors, giving my opinion on their book ideas. What has been your biggest writing achievement? 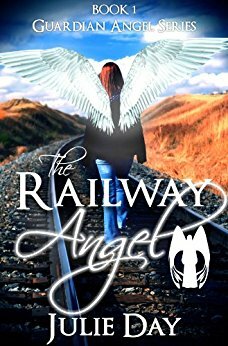 Publishing my first children's ebook 'The Railway Angel'. The sense of achievement when I managed to do the formatting myself then publish it was great. I enjoyed having control over the whole publishing process that I decided I wanted to stay being an indie author. How important is it to raise awareness of Asperger’s? Very important. I know there are lots of other disabilities, but Asperger's is considered a hidden/invisible disability where the person might look normal on the outside but not so inside. So, you might come across a child or adult with Asperger's and not know it. Aspies have lots of challenges with communication, and understanding how they can cope with them will help us not feel so anxious. Do you have any advice for other writers with Asperger’s? Blog about Asperger's. Enjoy what you write. Don't be afraid to join groups on-line and off-line. Don't be afraid to meet other writers. Don't be afraid to tell them you have Asperger's. I did, and people were understanding. Thank you, Julie, and good luck with your writing. You can find Julie's books on Amazon. Lovely interview. Thanks, Julie, for providing this insight. Congratulations on your achievements. With writing for children, writing pocket novels and helping other writers, do you feel torn between them or are you able to allocate sufficient time to each? Interesting questions, Susana - thank you. Hi, Susanna. I have given up trying to write pocket novels. I have a sort of routine where I will write one thing in the morning and the other in the afternoon. I usually allocate half an hour (that's all my hand can take) writing each wip. As for clients, I have allocated Weds and Sats for those so I know what I am doing when. Thank you for taking the time to leave a comment, Julie. Thank you, Joanna. I do try to be organised, but don't know about super-organised. I try to be supportive to other authors because I have had support from others myself over the years so want to give something back esp what I have learnt. Thank you for your comment, Joanna. It's lovely for writers to support each other. Thank you all for what you have said about me, esp being organised. Thank you, Wendy, for having me. Will be back later to check for any more comments. So inspiring, Julie. Thank you for sharing. Great interview and I can understand what you mean about a hidden disability - my late father was almost completely deaf and often thought to be rude and ignoring people! That must have been terrible for him, Angela. I sort of know where he was as I am partially deaf too, from another syndrome I have. thank you for your lovely long comment, Fran! Julie's certainly an inspiration when it comes to motivation. Yes, she is. Being organised is only a part of it, albeit an important part - being motivated and having ideas - very important too! I can relate to having to write stories down just to get them out of my head! You do work hard, Patsy. I am often seeing your stories in womags these days. Thanks, Julie. I don't do nothing, but I could work a lot harder and push myself to do some of the things I find more challenging. Thank you, Fran. I have to say you are v supportive too, esp when it comes to writing womag stories, and knowing you are a busy mum. Thank you, Julie and Wendy, for a really interesting & motivating interview. Congratulations, Julie on your success and good luck for all of your future projects. Thanks, Tracy. I agree, it was a really interesting interview. Thank you, Tracy. Pleased to know I can be motivating. Julie, Congratulations on all your achievements and for doing your best to cope with Aspergers. Thank you for sharing your experiences and explaining how Asbergers affects you. Thanks for popping over, Rosemary. Thank you, Rosemary. That is all part of raising awareness of Asperger's. Very interesting to read about Julie's work! Thank you. You're welcome, Penny. Thanks for commenting. Congratulations on all your writing, Julie but especially on your AsperKids series - such important work. Thanks for sharing, Wendy. Terrific interview. I agree, Rae - the AsperKids series sounds inspired! Thank you all for saying how inspiring I am. Like to know I can inspire other writers. That is why I started writing my Asperkids series because it is important that people who don't know about it become aware through it. Excellent post, Julie. We've met at a couple of RNA parties and I follow you on FB. My nephew has Aspergers and I think you give such a great insight to how it feels and what it means to have Aspergers. Although he's too old for your Asperkids books I think they're a great idea. Congratulations on all your success, you truly are inspirational. Hi, Deborah. How old is your nephew? I plan to write books for all ages in the Asperkids series, up to YA. I know an author with Aspergers - it can be a genuine advantage as those on the spectrum are often incredibly observant, possess fantastic visual memory, and see and experience the world without filters which often makes their life difficult but also gives a view on the world which deserves to be shared with those of us who drift through life missing half of it! 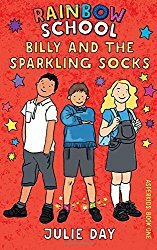 Well done for writing the books, Julie - also nice to hear from a woman with ASD and a writer - too many people think Aspergers means a boy who only likes computers and can't write, and the spectrum is so much wider than that, as you will know! Thank you. I know of other women with Asperger's who aren't computer geeks. My Asperkifds all have different talents. Thanks for sharing this, Julie. I'm full of admiration for what you're achieving and for helping others to understand through your writing.